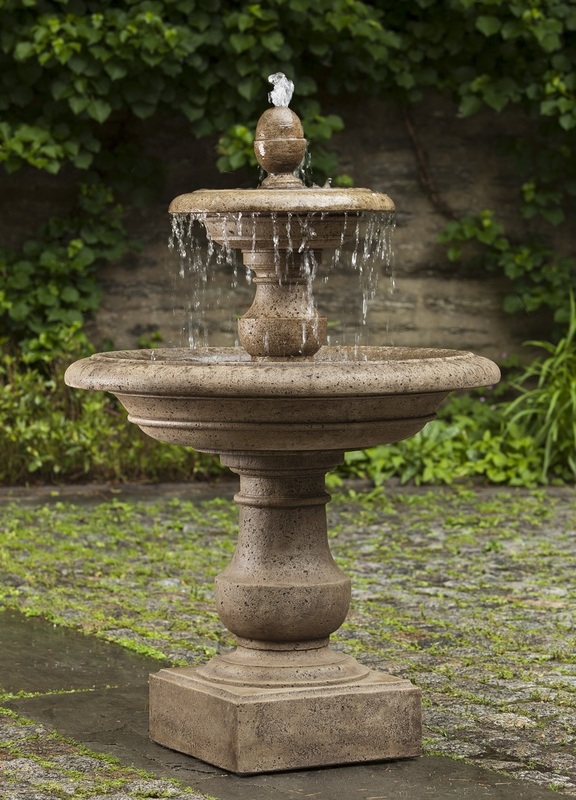 The Caterina Fountain is the perfect choice for anyone who is looking for a striking centerpiece for their garden or courtyard. A jet of water coming out of the very top of the fountain causes water below to cascade down from one tier to another in an impressive waterfall effect. L 35.25" W 35.25" H 52.55" | 446 lbs.